We have forklifts and other specialized lifts that need to be used outside occasionally. Our practice has been to clean and sanitize any forklift outside before it is brought back into the plant. Our engineering group just came to Sanitation and Quality to advise that this practices is no longer allowed. Essentially, we cannot clean anything outside because it is violation of the Clean Water Act. 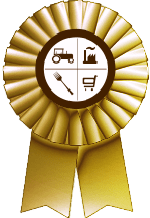 Our concern is that we do not want to wash "dirty" equipment like forklifts in our current wash area since that is where we clean and sanitize food processing equipment since that presents a cross-contamination issue. Curious how others handle sanitation for forklifts, etc. Do you have a dedicated wash area for only forklifts and other misc equipment (not food equipment)? Yes, dedicated wash down area for any equipment coming into plant - Like a pre-stage area. We bought a fork lift that is only used outside. It is never brought into the production building. It is kept in a garage. Is it painted a different color? How can you adequately clean and sanitize a forklift before you allow it back into the building? I'd love to see that SSOP. I think you must only used individually forklifts in the area and the outside . Invest in a water treatment unit.